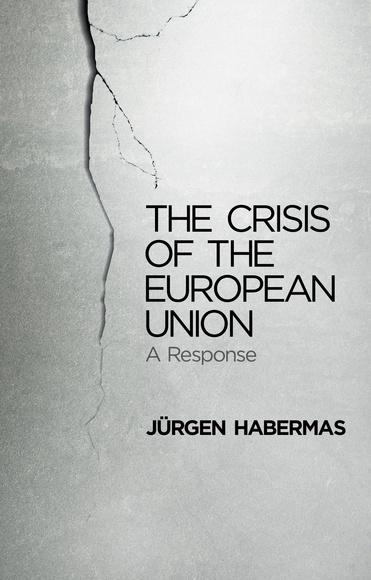 The Crisis of the European Union: A Response, by Jürgen Habermas, Polity Press, £16.99, €19.80. Philosophy is a very refreshing exercise when meeting a great philosopher. As one of those great minds, Habermas has also kept his unique voice, using it load and clear. In his latest book, he confronts the factors threatening to derail the European project. “The eurozone countries are heading toward a situation in which they will have to choose between a deepening of European cooperation and relinquishing the euro.” While many people expect to see the end of the euro in the next five years, Habermas turns his attention towards the weak point of Europe: the intimacy of its relations with its citizens. After the failure of the Laken operation - remember the European constituent under the French presidency of Valérie Giscard d'Estaing - the attempt to bring together citizens from the European policy-making spheres seems to have sunk into indifference. In addition, the fact that the theme of ‘Europe’ does not sell well at local or national election contests, measures the sad opinion the average citizen has of Europe. So, we should rejoice that a philosopher like Habermas is not giving up, but calling the European elite to order. He sees an opportunity in the crisis. “With a little backbone the crisis of the single currency can bring about what some once hoped for from a common European foreign policy, namely a cross-border awareness of a shared European destiny.” On the other hand, is Habermas perhaps over-optimistic? Won't the “little political backbone” he mentions be, in reality, hard to find?